Lawmakers: Is Toyota study a class-action prep? Waxman: Toyota's consultant looking for a class action defense, not an answer to sudden accelerations. WASHINGTON -- Lawmakers are losing hope of getting prompt and credible answers to whether electronic defects contributed to Toyota's problem with sudden accelerations. Toyota Motor Corp. has squandered much of the confidence that lawmakers might have had in the company's intention to get to the root causes. For months, Toyota executives had assured Congress that they had hired the well-known Exponent engineering firm to do an independent investigation. But House investigators last week said they found what they considered to be indications that Exponent really was hired to bolster Toyota's defense against class-action suits. A copy of Exponent's December contract shows that it was not with the automaker directly but with the South Carolina law firm hired by Toyota to defend against consumers' product-liability suits, said Rep. Henry Waxman, D-Calif. The contract says that the scope of the services that Exponent is to perform is "engineering consulting services related to class actions filed against Toyota," said Waxman, chairman of the House Energy and Commerce Committee. 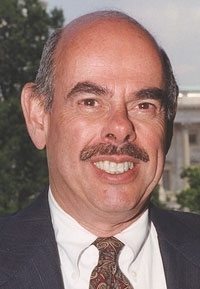 "Exponent seems to be working for lawyers," Waxman said at a hearing last week. "Everything they've shown us gives us no sense they've come to any conclusions. We have no sense they're even looking at this issue." The president of Toyota Motor Sales U.S.A., Jim Lentz, acknowledged possible shortcomings in the study, which has cost the company $3.3 million so far. "I understand the perception that this is not a very transparent process," he told Waxman's committee. Lentz said that just days before last week's hearing, Toyota had asked Exponent to start reporting to Steve St. Angelo, the company's chief quality officer for North America. But he said he isn't sure whether this signifies any change in Exponent's contract with Toyota's law firm or the scope of services that the consultant provides. With lawmakers' tempers near a boiling point, they turned to federal regulators in the hope of finding answers. The National Highway Traffic Safety Administration has enlisted the aid of NASA to review Toyota's electronic throttle control system. But NHTSA chief David Strickland revealed that the government may have trouble meeting its Aug. 31 deadline for completing the study. NHTSA has not yet prepared a test plan to give to NASA, with which it is meeting this week, Strickland said. Asked by lawmakers what would happen if that deadline comes and goes, Strickland said: "Our primary objective is to make sure we get it right."